(2) why does Ken Robinson refuse to debate his many informed and articulate critics? What does Sir Ken say? 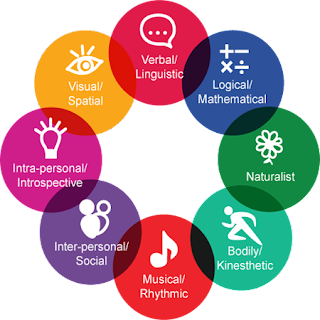 That children have tremendous natural talents and these are crushed by School (the capital S signifies the institution of school) because School favours one sort of learning (academic head learning) above other sorts of learning (the multiple intelligences). My goal here is to look at KRs thesis through the prism of what is required for genius. I argue that genius does not depend primarily on tremendous natural talents, so this key premise of KRs argument falls flat. I am not arguing that Schools are great places. The reason KR appeals to many is that he is critical of School and many have had negative experiences in School, "it's boring", where their abilities were not encouraged or developed. I agree that school reform is required. But this requires more depth of thought than that provided by KR. I am arguing that children do not have tremendous natural talents. I am arguing that talents develop through a supportive home or other educational environment and hard work. I use genius as the prism through which to view the debate because to puncture or deflate the mythology surrounding genius - that there are individuals amongst us with extraordinary natural talents that we can't hope to emulate since they are born with it - does at the same time deflate KRs core argument. A family I know well have home schooled their three children and their youngest, Connor, has become a unicycle "genius". He busks on a regular basis and has raised a shitload of money to fund a Scout trip to America. The older girls have won awards and qualifications for their community service efforts and involvement in the Scouts. The parents were also impressed by the KR talk and I can see why. Regular school would never have thought of developing Connor's unicycle skill to the extent that this family has pushed it. So, it does illustrate a part of KRs thesis that non academic talents are not recognised by School to the extent that they should be. I would argue, however, that Connor's natural kinesthenic talent, whilst undeniably, is not the key factor here. The key factor is mentoring. The parents saw an entrepeneurial opportunity and encouraged and facilitated Connor to put in the hard work to develop further in that direction. ...as the American inventor Thomas Edison said, genius is 99 per cent perspiration - or, to be truer to the data, perhaps 1 per cent inspiration, 29 per cent good instruction and encouragement, and 70 per cent perspiration. "These people don't necessarily have an especially high IQ, but they almost always have very supportive environments, and they almost always have important mentors. And the one thing they always have is this incredible investment of effort. ... it's a bit overwhelming to look at what these people have to do. They generally invest about five times as much time and effort to become great as an accomplished amateur does to become competent. It's not something everyone's up for." So what does create genius or extreme talent? Musicians have an old joke about this: How do you get to Carnegie Hall from here? Practise. A sober look at any field shows that the top performers are rarely more gifted than the also-rans, but they almost invariably outwork them. This doesn't mean that some people aren't more athletic or smarter than others. The elite are elite partly because they have some genetic gifts - for learning and hand-eye coordination, for instance - but the very best rise because they take great pains to maximise that gift. This has led scholars of elite performance to speak of a 10-year rule: it seems you have to put in at least a decade of focused work to master something and bring greatness within reach... Mozart was playing the violin at 3 years of age and received expert, focused instruction from the start. He was precocious, writing symphonies at age 7, but he didn't produce the work that made him a giant until his teens. Study so intense requires resources - time and space to work, teachers to mentor - and the subjects of Bloom's study, like most elite performers, almost invariably enjoyed plentiful support in their formative years. Bloom, in fact, came to see great talent as less an individual trait than a creation of environment and encouragement. "We were looking for exceptional kids," he said, "and what we found were exceptional conditions." He was intrigued to find that few of the study's subjects had shown special promise when they first took up the fields they later excelled in, and most harboured no early ambition for stellar achievement. When Subotnik looked at music students at New York's elite Juilliard School and winners of the high-school-level Westinghouse Science Talent Search, he found that the Juilliard students generally realised their potential more fully because they had one-on-one relationships with mentors who prepared them for the challenges they would face after their studies ended. So what do elite performers attain through all that deliberate practice and sensitive mentoring? What makes a genius? The creme de la creme appear to develop several important cognitive skills. The first, called "chunking", is the ability to group details and concepts into easily remembered patterns. Chess provides the classic illustration. Show a chess master a game in progress for just 5 seconds and they will memorise the board so well that they can recreate most of it - 20 pieces or more - an hour later. A novice will be able to place just four or five pieces. Yet chess masters don't necessarily have a better memory than novices. Their clustering skills begin and end at the chessboard. Show a master and a novice a random list of 20 digits, and a few minutes later neither will be able to recall more than seven or eight of them in sequence. In a chess game, by contrast, the master sees not the 20 pieces that confront the novice but clusters of pieces, each of which is familiar from experience. Interestingly, the chess master will remember about as many clusters - four or five - as a novice will individual pieces. The better the master, the larger the clusters he'll remember. We all exercise such clustering skills when we read. Learning to read means coming to recognise chunks of letters as words, then chunks of words as phrases and sentences, and - at a deeper level - sentences and paragraphs as components of a work's larger meaning. This chunking puts individual words into logical, recallable contexts. As a result, we'll remember almost all of a logical 20-word sentence and only four to seven words from the same 20 words ordered randomly. Apart from chunking, the elite also learn to identify quickly which bits of information in a changing situation to store in working memory so that they can use them later. This lets them create a continually updated mental model far more complex than that used by someone less practised, allowing them to see subtler dynamics and deeper relationships. Eric Kandel of Columbia University in New York, who won a Nobel prize in 2000 for discovering much of the neural basis of memory and learning, has shown that both the number and strength of the nerve connections associated with a memory or skill increase in proportion to how often and how emphatically the lesson is repeated. So focused study and practice literally build the neural networks of expertise. Genetics may allow one person to build synapses faster than another, but either way the lesson must still be learned. Genius must be built.